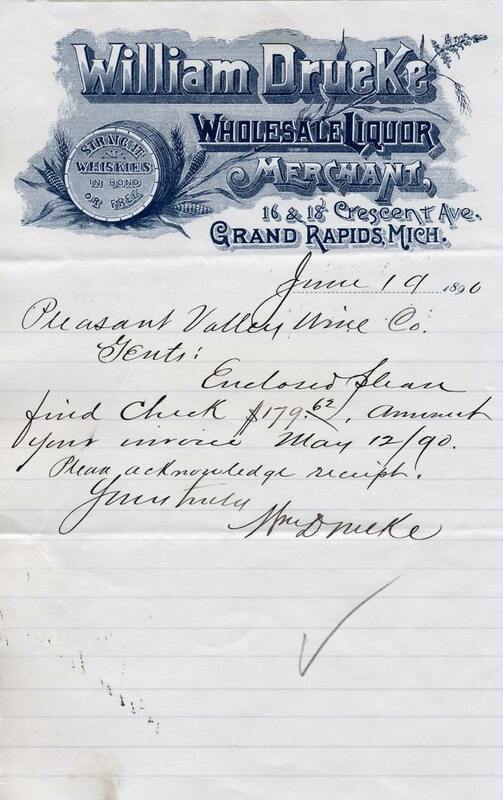 An invoice dated June 19, 1890, from William Drueke of Grand Rapids, MI. The invoice measures approximately 6" x 9". Copyright © 2002 - 2019 pre-pro.com. All rights reserved.